AP— The European Union on Wednesday called on Russia, Iran and Turkey to ensure a halt to fighting in Syria, as international donors gathered in Brussels to drum up aid for the conflict-ravaged country. As the conflict enters its eighth year, more than 13 million Syrians are in need of humanitarian assistance. Over 5 million refugees are displaced outside the country. 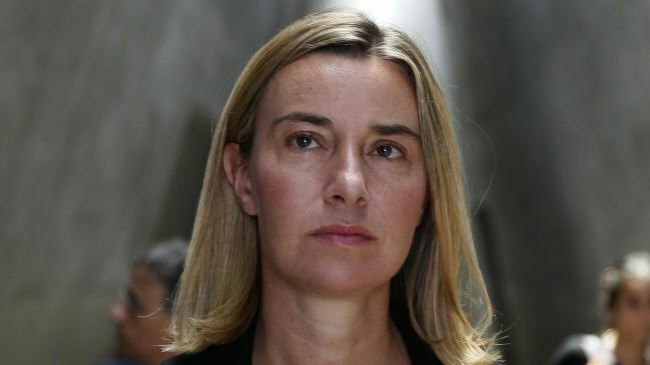 EU foreign policy chief Federica Mogherini said that Russia, Iran and Turkey have a “special responsibility” to establish a cease-fire and to press Syrian President Bashar Assad to return to the negotiating table. “We are seeing an escalation in military activities which is exactly the contrary” to what they promised, Mogherini said. Around 80 countries, organizations and partners backing Syria are taking part in the donor conference. The EU hopes the meeting will give impetus to stalled peace moves under U.N. auspices, on top of gathering humanitarian aid for Syria and for neighbors like Lebanon and Jordan, struggling to cope with millions of refugees. The U.N. is seeking more than 7 billion dollars at this conference, even as donors weary of ploughing money into a conflict with no obvious end. German Foreign Minister Heiko Maas said his country will provide 1 billion euros in new funding for 2018 and subsequent years. The EU, along with many other partners, refuses to help with serious reconstruction in Syria until meaningful peace moves to end the conflict resume in Geneva. Lebanese Prime Minister Saad Hariri, who faces elections in two weeks, said the plight of Syrians is simply getting worse. “The bitter truth is that despite all our combined efforts conditions have deteriorated. Lebanon continues to be a big refugee camp,” he said. Britain’s State Minister for the Middle East, Alistair Burt, agreed that Syria’s needs are enormous. “This is the world’s greatest protection crisis. If you look at what’s happened and what’s been done to people — breaches of humanitarian laws, the weakening of multilateral norms that we have seen for a long time — it’s all focusing on Syria,” he said. Meanwhile, U.N. Syria envoy Staffan De Mistura has warned that the northern, rebel-held province of Idlib could become Syria’s newest humanitarian crisis area.